Designed and built complete for you! *You have the option of purchasing this item un-assembled or completely assembled. All of the parts shown in the picture (including bolts and grease packets) will come un-assembled so you can complete it yourself. Otherwise you can add the option to have it completely assembled by us (as shown in the picture). Just click on the checkbox in assembly options if you would like it completely assembled. C700R RPM reverse gear box - Gearboxes are a special order item. They can take 4 - 5 weeks to get. C502E (1 pair) 28 splined 930 axles 17 1/2"
Width outside of tires is 64" to 68"
Width hub to hub is 55"
Shipping Note: This item ships freight if you ordered it assembled. It is securely strapped on a pallet. Please keep this in mind when ordering and make sure the place we are shipping to is a business that has this capability or we can ship to a local trucking terminal near you, then you can pick it up from there. 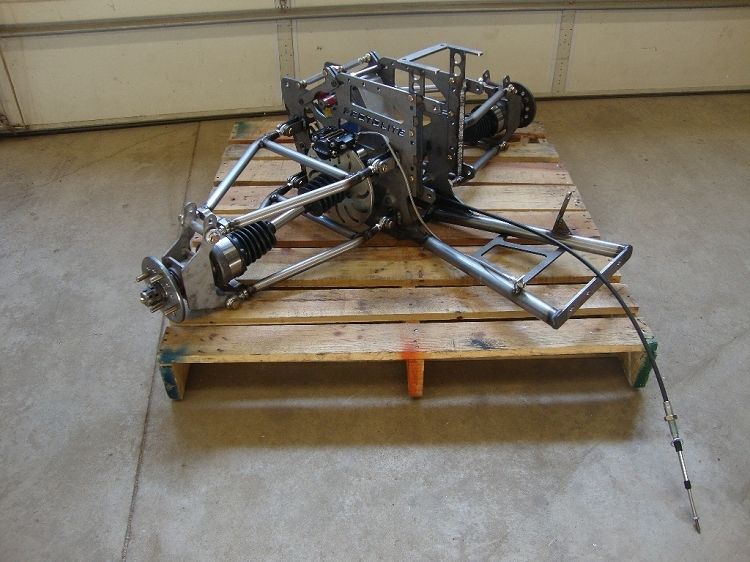 If you ordered the complete rear un-assembled, we will ship it in separate packages using Fedex.